Does paracetamol ease pain of decision making? 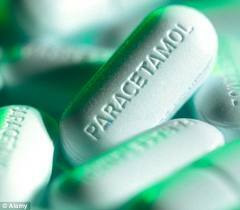 “Paracetamol could make difficult decisions less of a headache,” the Mail Online reports. The story follows a US study that looked at whether taking paracetamol could reduce the pain of making difficult decisions. Researchers tested their theory in two experiments where young, healthy adults were given either paracetamol or an inactive placebo. The first experiment tested the theory that being asked to choose between two equally attractive things can cause mental discomfort. Participants were asked to rate seven mental tasks and choose one of two they rated positively. People who took paracetamol were less negative about the rejected task than those who took a placebo, suggesting they experienced less pain in decision making. The second experiment tested the theory of “loss aversion” – where people put greater value on personal possessions they own than those they do not. Participants were given a coffee mug – half were told it was theirs, while the other half were told it was the property of the laboratory. All were asked to give a selling price for the mug. Those who took paracetamol set lower selling prices than those taking a placebo, presumably because they experienced lower levels of loss aversion. This small study proves very little about the effect of paracetamol on the pain of decision making. The suggestion that we should take paracetamol every time we face a difficult decision in life is certainly not advisable. Sustained regular use is not recommended, and even a small overdose can cause potentially fatal liver damage. The study was carried out by researchers from the University of Kentucky. There is no information about external funding. It was published in the peer-reviewed Journal of Experimental Social Psychology. The study was covered uncritically by the Mail Online, with no comments from independent experts. This US study involved two experiments carried out in the laboratory setting, testing the theory that taking paracetamol can reduce the pain of certain types of decision making. The researchers say people often talk of decisions being “painful”. They specifically explored the theories of “cognitive dissonance” and “loss aversion”. Cognitive dissonance is the theory that if we have to choose between two equally attractive things (such as paying for a luxury holiday or buying a new car) it can cause mental discomfort. To make this less painful, the researchers say, we rationalise the decision by adopting a negative attitude towards the choice we rejected (“I don’t really need a new car” or “Sitting on the beach all day would have been boring”). Loss aversion is the theory that people endow their personal possessions with greater value than things they do not own. The researchers say both cognitive dissonance and loss aversion involve regions of the brain associated with physical pain (the dorsal anterior cingulate cortex [dACC] and anterior insula), and hypothesise that paracetamol may reduce the pain of decision making. In the first experiment, researchers recruited 112 undergraduates, three-quarters of whom were women, with an average age of 19. They were screened for conditions that might have affected the results, including dependence conditions such as alcohol misuse or daily paracetamol consumption. They were randomised to consume 1g of paracetamol (one standard dose) or an inactive placebo pill. After half an hour they were given descriptions of seven cognitive tasks and asked to rate their desirability. The tasks were described as puzzles, but frustratingly no detailed information was provided on the type of tasks described to the undergraduates. The researchers then selected two tasks rated positively by each participant, who then chose which task he or she would perform later. After anot her half hour they were instructed to rate the tasks again and try to ignore their earlier evaluations, as they were told by the researchers that preferences can change over time. In the second experiment, researchers recruited 95 undergraduates (just over half were women with an average age of 20) who met the same criteria as in the first experiment. They were randomised to be given either 1g of paracetamol or a placebo pill. They were also handed a mug with the university logo. Participants were randomised again so that half were told the mug was theirs to keep, while the other half were told it was the property of the laboratory. They were all instructed to examine the mug for 30 seconds. They were not told about the mug’s true value. After 30 minutes they were instructed that they could sell the mug and were asked to list the selling price. In the first experiment, participants rated their rejected task with fewer positive attributes to try to reduce any mental discomfort. However, people who took paracetamol were less negative about the rejected task compared with those taking placebo, suggesting they experienced less pain in decision making. In the second experiment, among participants who had been told the mug was theirs, those who took paracetamol set lower selling prices than those who took the placebo drug. People who took paracetamol and were told the mug was theirs also set lower prices than the other group, who were told the mug was not theirs. Among all those who took a placebo, mug prices were not significantly higher among those told the mug was theirs than those told it was university property. The researchers say their experiments showed that paracetamol reduced the pain of decision making. They say that in the first experiment, paracetamol reduced participants’ need to reduce discomfort by adopting a more negative attitude towards the rejected task. In the second experiment, in which they were asked to set the price of a mug, participants who took paracetamol set lower selling prices, presumably because they experienced lower levels of loss aversion. “Making decisions can be painful, but a physical painkiller can take the pain away,” the researchers concluded. This experimental study involved giving people paracetamol or a placebo, then asking them to take part in two very specific decision-making scenarios to test the psychological states of cognitive dissonance and loss aversion. The results of the first experiment suggested people who took paracetamol were less negative about the rejected task than those who took a placebo, suggesting they experienced less cognitive dissonance. The results of the second experiment found those who took paracetamol set lower selling prices than those taking a placebo, presumably because they experienced lower levels of loss aversion. However, the researchers’ hypothesis that paracetamol can help with the mental discomfort associated with decision making remains just that – a hypothesis. There are many limitations to this study, including its small specific sample of healthy young adults, and these are highly experimental scenarios that do not necessarily relate to real-life situations. The results also do not give a clear and consistent pattern. For example, people who took a placebo in the second experiment didn’t rate the value of the mug differently regardless of whether they were told it was theirs or not, suggesting they were not experiencing loss aversion in any case. Our capacity to make difficult decisions is a complex area that involves many factors, and the idea that any uncertainty or conflict around a decision would be removed just by taking a painkiller is surely dubious. In any case, even if the pain of decision making was reduced, it does not seem to necessarily follow that we would subsequently then make the “right” decision. The suggestion that we should be encouraged to slip a pill every time we face a painful decision is certainly not advisable. Paracetamol is a medical drug that is only designed to treat physical pain and reduce fever. It is safe to use at recommended doses and for the proper reasons, but sustained regular use is not recommended – even a small overdose can cause potentially fatal liver damage.